One of the few characters Isha recognized now is Hello Kitty. And one of her favorite snack is Jollibee spaghetti. 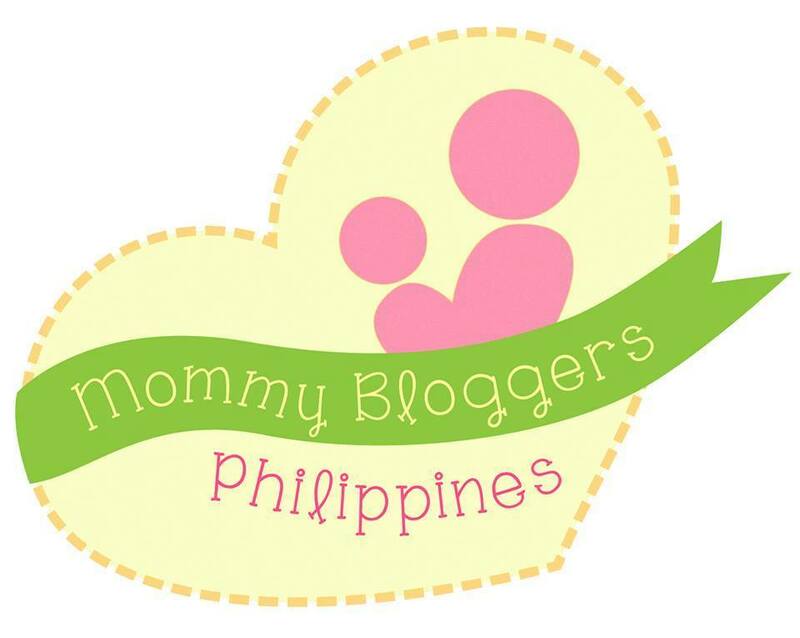 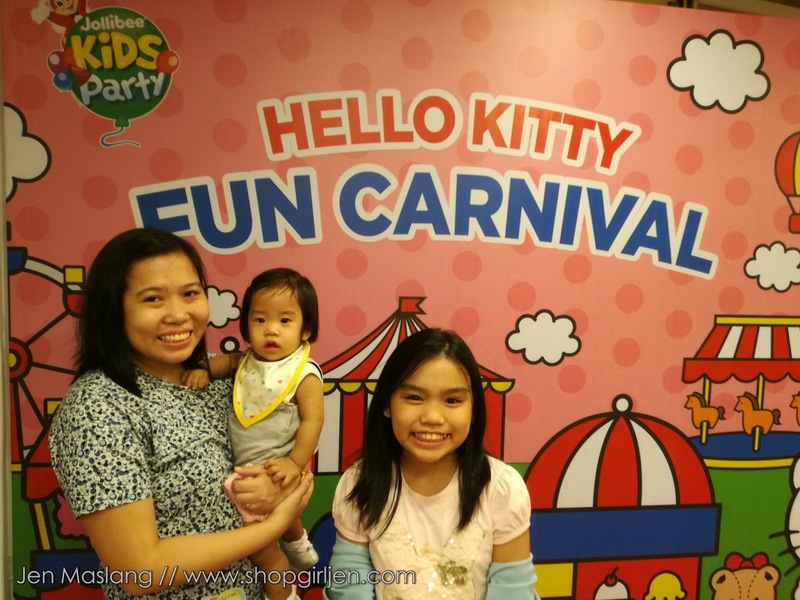 That's why we're so delighted when we got an invite to attend a Hello Kitty Fun Carnival, Jollibee's newest theme-party. 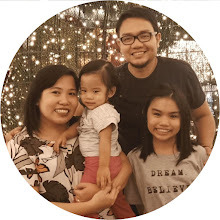 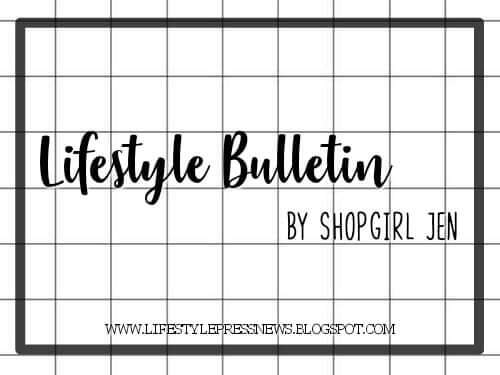 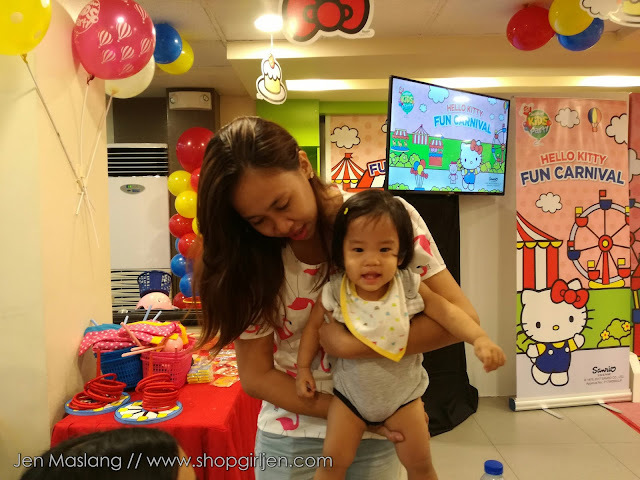 Family's favorite, Jollibee, launches yet another fun theme-party where you can make your little one's birthday celebration fun and memorable. 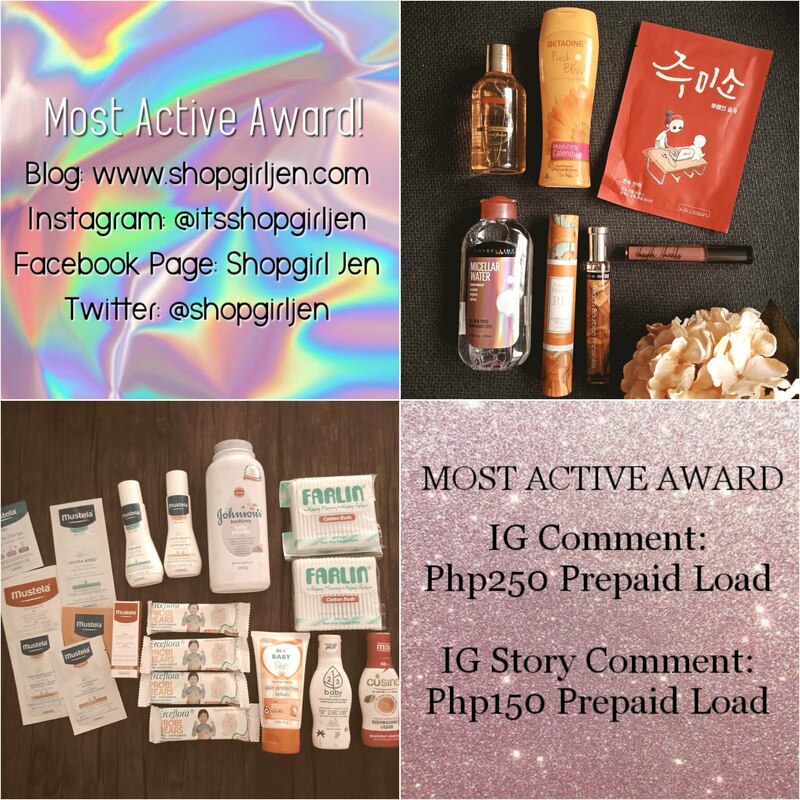 Of course, a Jollibee party is not complete without the langhap-sarap goodness of Chickenjoy, Jollibee Spaghetti and Yumburger, a few of our favorites from Jollibee plus games and awesome prizes, a delicious cake and party favors. 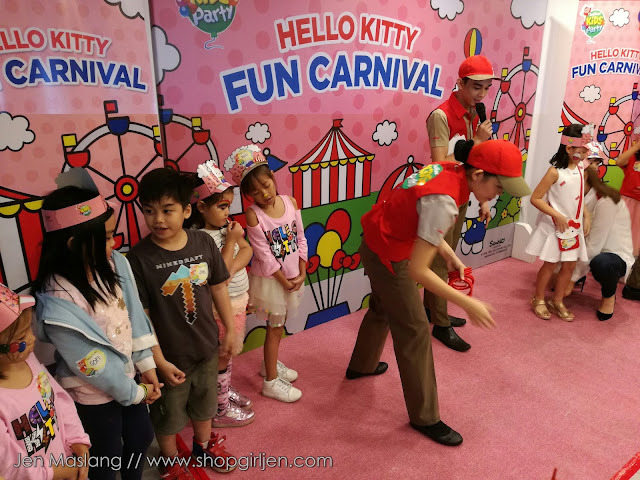 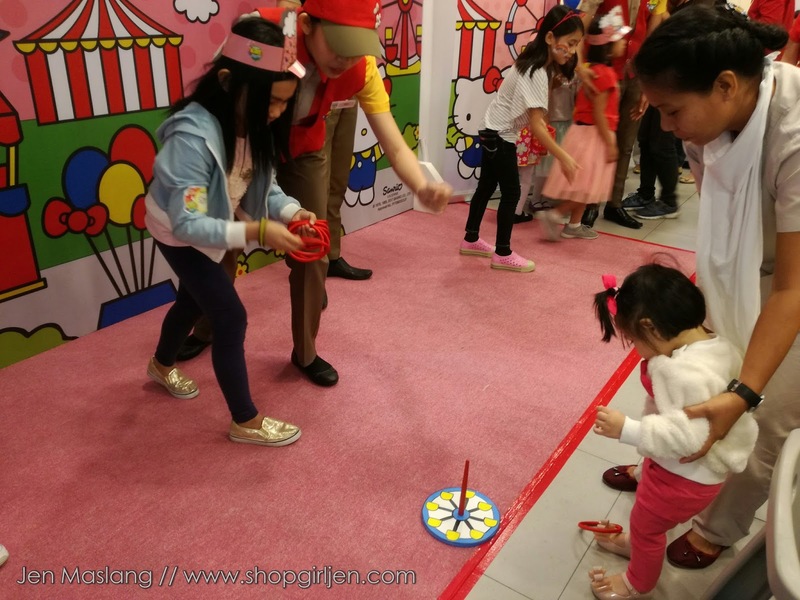 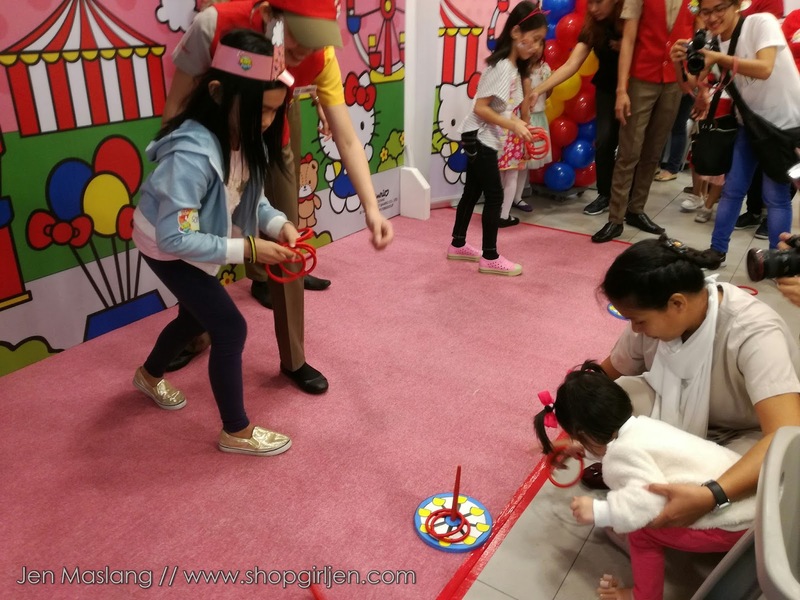 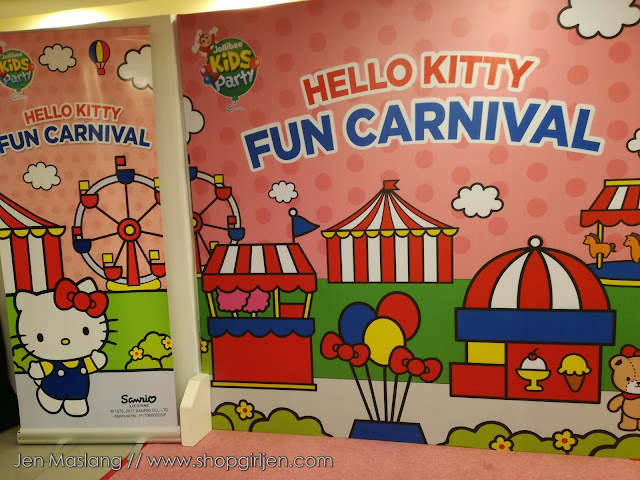 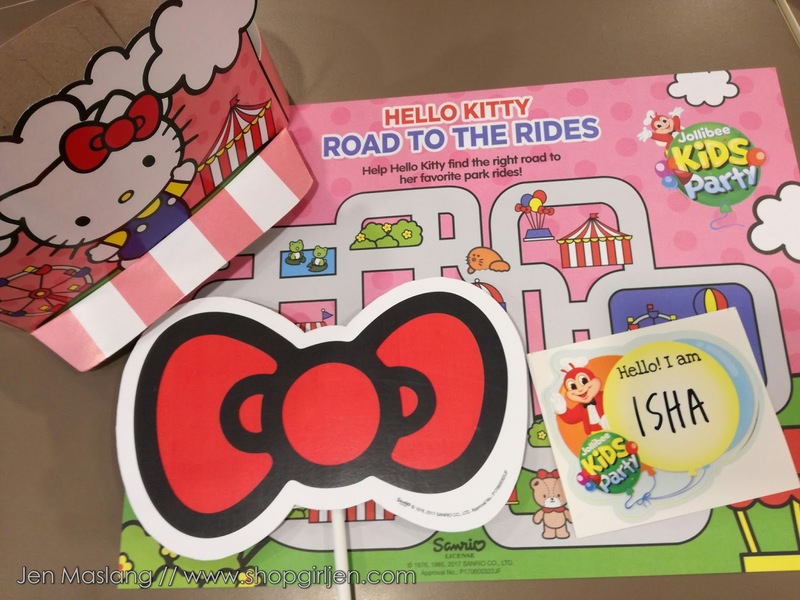 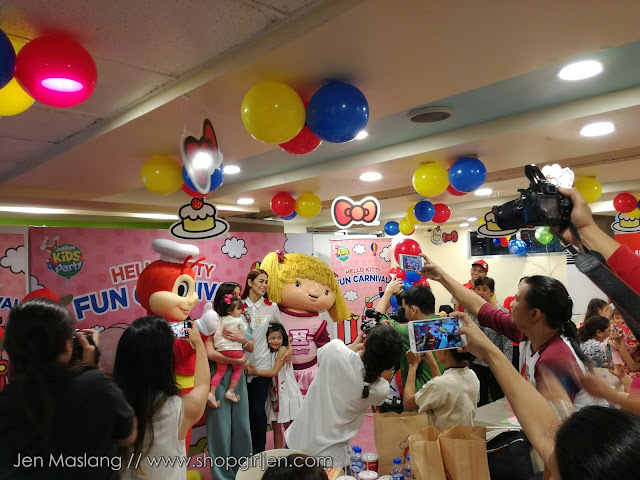 Jollibee's much loved kids party transforms into the ultimate Hello Kitty funhouse with Hello Kitty-inspired games such as roller coaster, caterpillar and cotton candy games. 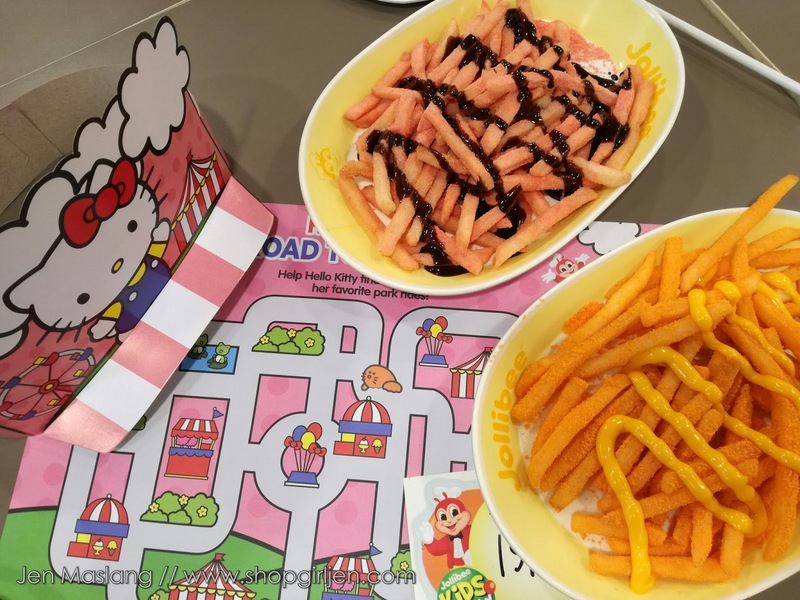 The place was adorned with kawaii-themed decors. 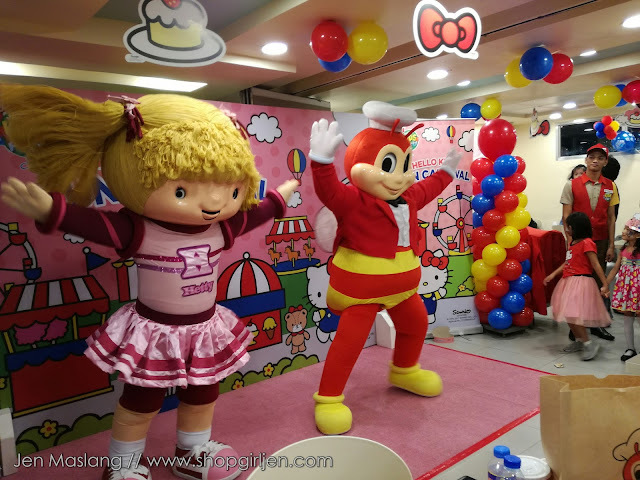 And Jollibee party is not complete without the appearance of our favorite Jollibee and Friends with a dance number to entertained the guests. Even Isha had fun gazing at Jollibee and eating her own Jolly Spaghetti. 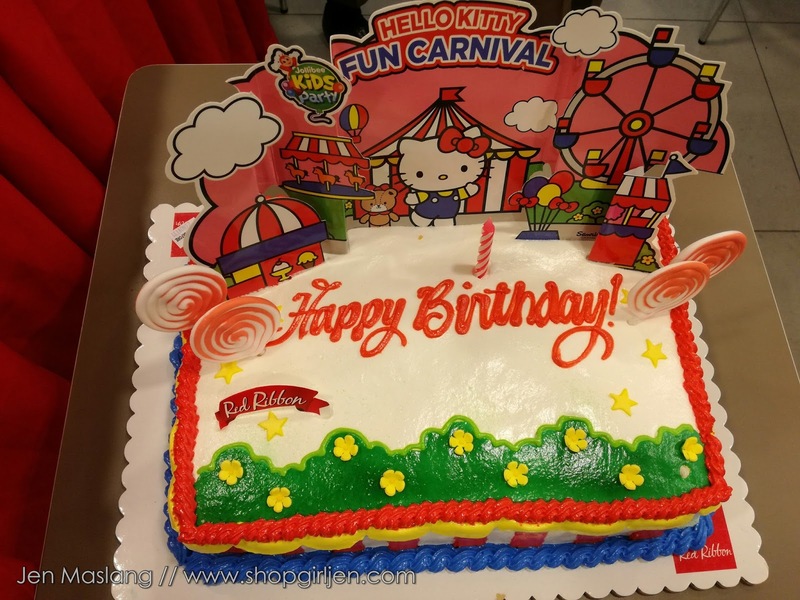 Let your kids have a memorable party at Jollibee with the new Hello Kitty Fun Carnival party theme. You can also have a Create-Your-Own-Package option where you can customize your own party from 30-80 guests. Aside from Hello Kitty Fun Carnival, Jollibee also offers other party themes like Jollitown, FUN-tastic Factory, and JolliRace. 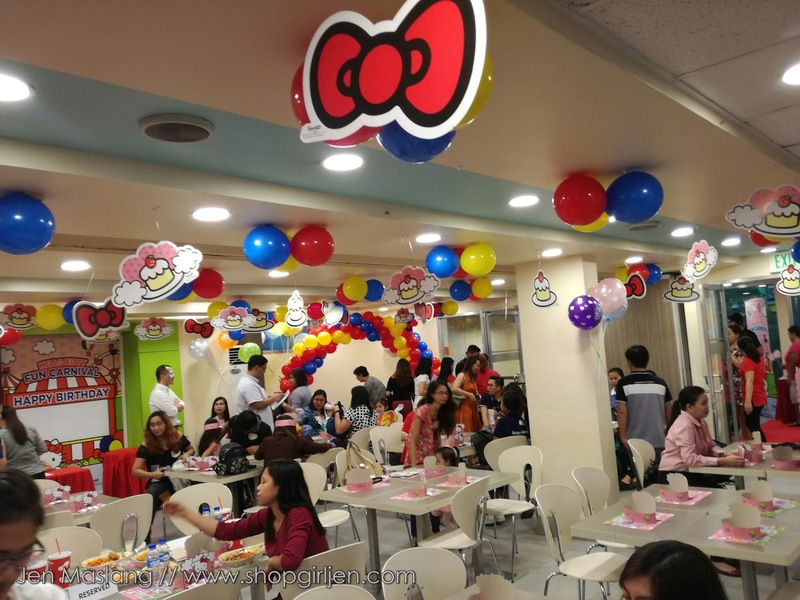 For more info on Jollibee Kids Party visit their website at www.jollibeeparty.com. 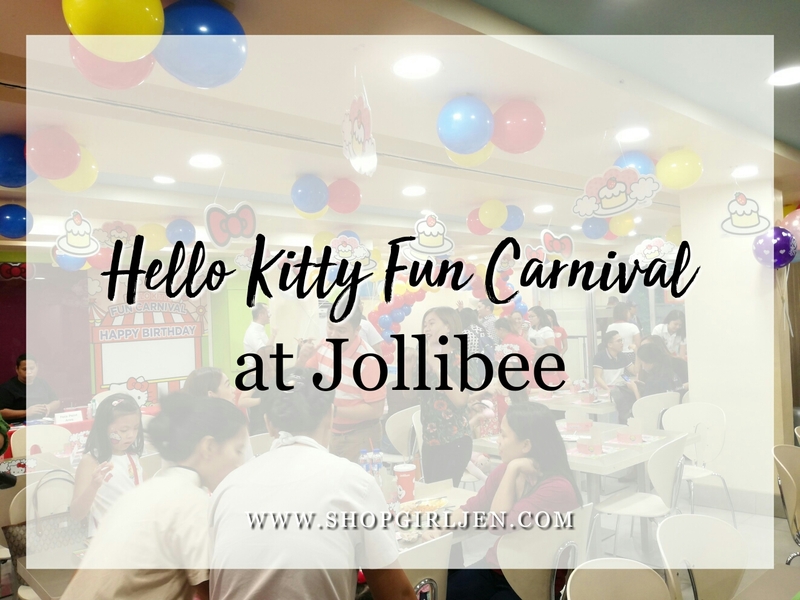 You may also visit your chosen Jollibee branch for booking.